Over two decades since its original release, Quentin Tarantino’s Reservoir Dogs is rightly hailed as a cult classic. So much so that Empire magazine named it the ‘Greatest Independent Film of all Time’. As with all of Tarantino’s work there were a great number of films and books that influenced Reservoir Dogs. Let’s explore a few of them. Great artists steal; they don’t do homages. I didn't go out of my way to do a rip-off of The Killing, but I did think of it as my Killing, my take on that kind of heist. 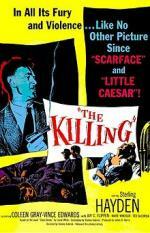 It’s also worth noting that legendary crime author Jim Thompson allegedly wrote the majority of the screenplay for The Killing, adapted from Lionel White’s novel Clean Break. However, Kubrick credited himself with the screenplay and gave Thompson an ‘additional dialogue’ credit, almost causing the pair to fall out. As per Robert Polito’s Savage Art: A Biography of Jim Thompson, Thompson “virtually had to be restrained in his seat from exploding” when he saw the credits. He labelled Kubrick “sly and devious”. That said, Kubrick and Thompson did work together after The Killing. From one 1950’s noir to another, Phil Karlson’s Kansas City Confidential influenced the plot of Reservoir Dogs according to Howard Hughes’s Crime Wave: The Filmgoers’ Guide to the Great Crime Movies (2006). 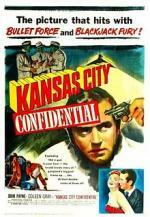 But don’t take Hughes’s word for it, Kansas City Confidential is now public domain and you can watch the film in its entirety online. I steal from every single movie ever made. If my work has anything, it’s that I’m taking this from this and that from that and mixing them together. 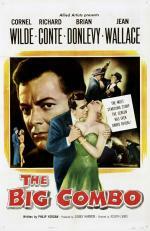 The notorious ear-cutting scene in Reservoir Dogs is said to have been inspired by Joseph H. Lewis’s 1955 crime noir starring Cornel Wilde, The Big Combo. Thanks to the joys of YouTube both scenes have been captured in their entirety and collected together in a single video. Watch them here. On the surface the 1987 autobiographical film directed by Louis Malle might seem like an odd influence on Reservoir Dogs. As the story goes, Tarantino was working at Video Archives, a video rental store in Manhattan Beach, where he’d often recommend largely unknown films to customers. 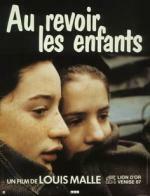 On one occasion he recommended Au Revoir Les Enfants which was mispronounced by the customer as ‘Reservoir Dogs’. The rest, as they say, is history. [Reservoir Dogs is] like the films of Jean-Pierre Melville, Bob The Gambler, Le Doulos, which is my favorite screenplay of all time, with Jean-Paul Belmondo; it's fantastic. He did Le Samourai with Alain Delon. He made, like, the coolest gangster films ever. They're, like, fantastic. His films were like he took the Bogart, Cagney, the Warner Brothers gangster films, all right, he loved those, and a lot of times he just took the stories from them and did them with Belmondo or Delon or Jean Gabin and just gave them a different style, a different coolness, you know, they had this French Gallic thing going through it, yet they were still trying to be like their American counterparts, but they had a different rhythm all their own. Then I took those movies and threw an L.A. right-now into them. So it's like a crossbreed. We’ve seen just a few of the influences on Tarantino’s Reservoir Dogs, but as you can imagine many films have been influenced by, borrowed from or flat out stolen storylines from Tarantino’s classic. Perhaps most blatantly is Sanjay Gupta’s Indian action film, Kaante, with a central plot based on Reservoir Dogs. Quentin Tarantino said he enjoyed the film in an interview with The Hindu. I think it was fabulous. 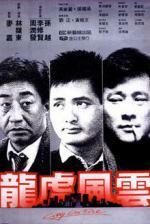 Of the many rip-offs (of Reservoir Dogs) I loved Hong Kong's Too Many Ways To Be No.1 and this one, Kaante. The best part is, you have Indian guys coming to the US and looting a US bank. How cool is that! I was truly honored… Here I am, watching a film that I've directed and then it goes into each character's background. And I'm like, ‘Whoa.' For, I always write backgrounds and stuff and it always gets chopped off during the edit. And so I was amazed on seeing this. I felt, this isn't Reservoir Dogs. But then it goes into the warehouse scene and I am like, ‘Wow it's back to Reservoir Dogs’. Isn't it amazing! So, now it’s over to you. 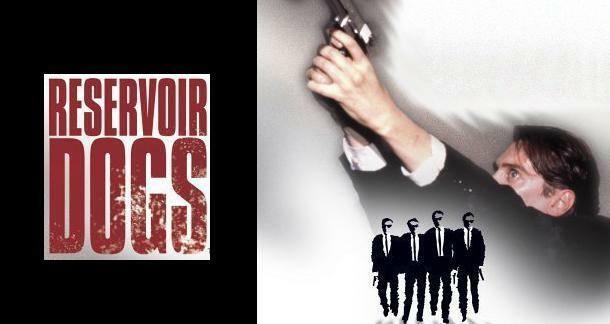 Which films and books do you think influenced Reservoir Dogs the most? And do you agree that great artists steal? See you in the comments section.